Every Indian (that I know of) who makes an advent to the US, turns first to Subway, making it one of their favorite hangouts. Except for - Yours truly, of course!. I dunno whats it about sub/burgers, but every single time that I have tried, (with all humanly possible permutations and combinations) has ended up with me puking it all out later. Till date, I have this aversion to the subs and burgers I have eaten outside with no clues whatsoever to what my issue is. No restaurant, no eatery, no subway - anywhere (at least in the places where we have traveled) has helped to demystify the suspense. So I stopped ordering burgers and it stands until today. 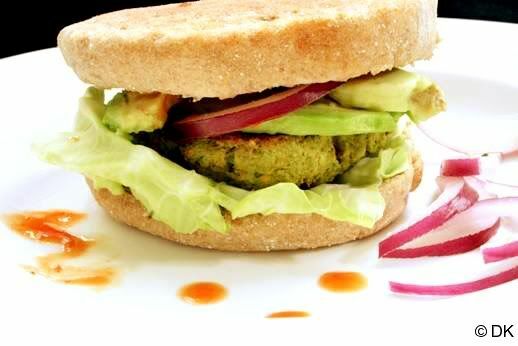 I thought I had it with burgers but something prompted me to try my own at home one fine day. Apprehensively I ate one, slowly bite after bite, waiting for the nausea to start. I waited - an hour passed, then two, half a day and well, a whole week passed by with no adverse reaction!!!!!!!! The husband calls me biased to my own cooking (yeah right!) but I am still wondering what "THAT" ingredient(s) is/are that's added to the burgers which makes me react this way. Anyways, as long as mine doesn't - I can continue to enjoy the burgers in peace (or relief). 1.TVP: Stands for Textured Vegetable Protein. 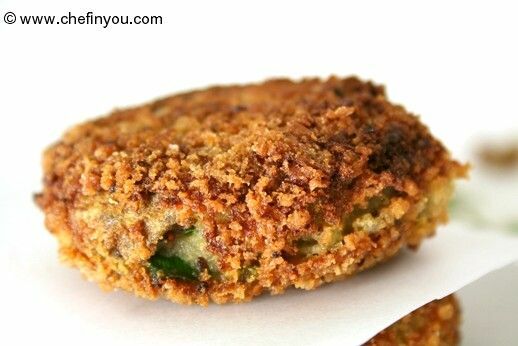 Its also available as Soy Chunks/Crumbles in the Indian market. 2.Eggs: Instead of Egg whites, you can use 2 Whole Eggs. Or use my Egg Substitution Chart (Savory Dishes) for eggless ideas. 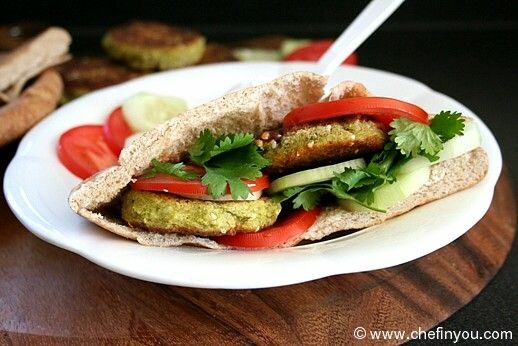 3.Cilantro:The original recipe uses parsley but I am a cilantro girl. Replace it if you like. 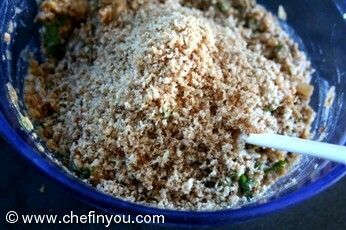 4.Bread Crumbs:Use regular bread crumbs instead. I wanted to bump on my fiber, Omega's and protein hence used this particular bread. 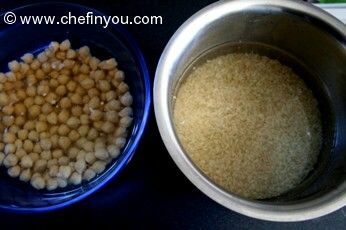 If you are going to use flaxseed as binders instead of eggs, then just esp.use regular breadcrumbs, since there might be overdose of flaxseed taste for you. 1. Preheat oven to 375F. 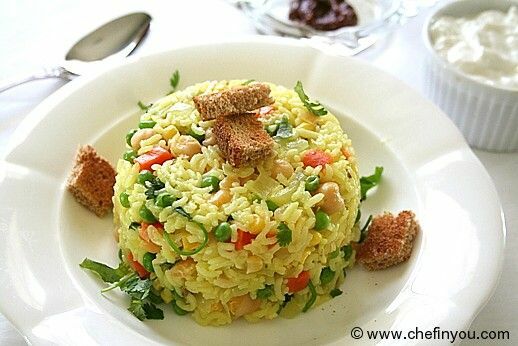 You can use canned Chickpeas and leftover cooked brown rice to make your life simpler. 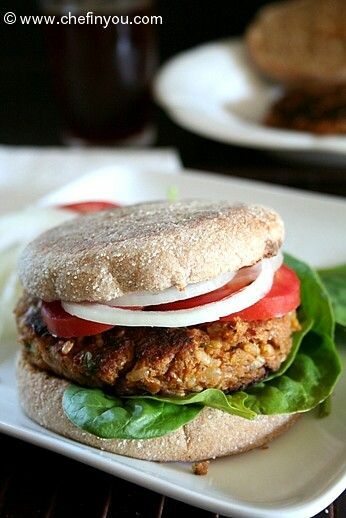 I soaked my dry chickpeas and brown rice the previous night and cooked them the next day for making these burgers. 2. 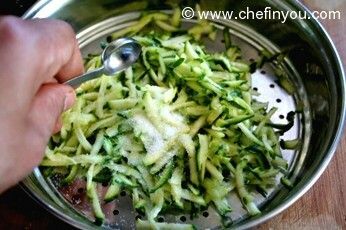 Toss the zucchini and 1/2 tsp salt in a colander and let it sit for 10 minutes. 3. 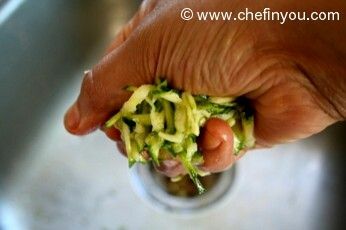 Squeeze out as much liquid as possible from the zucchini. Set aside. 4. Combine the TVP and hot water in a small bowl. Let it stand for 10 minutes. Set aside. 5. 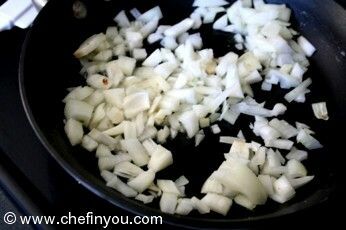 In a skillet, heat 1 tbsp of oil and saute the onions until soft - abt 5 min. 6. 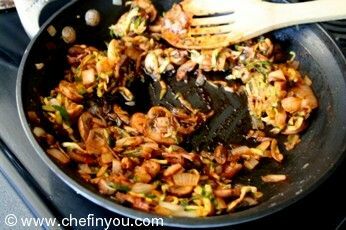 Add the mushrooms and cook, stirring on and off until softened. 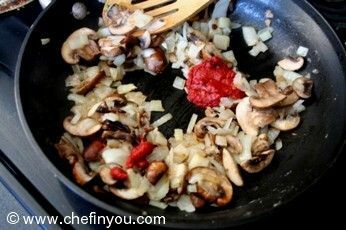 8. and quickly stir to combine. 9. 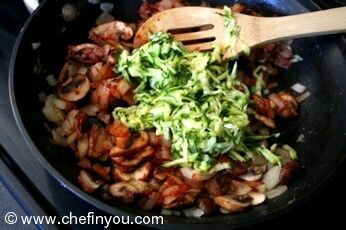 Add the zucchini and cook until the zucchini is slightly softened and dried out - abt 3-5 min. 10. 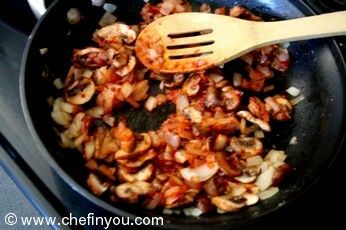 Add the vinegar and deglaze, scraping up any browned bits with a wooden spoon. 11. 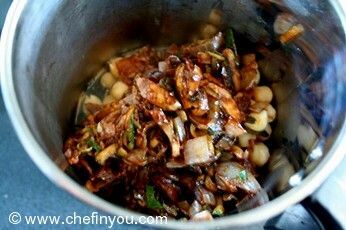 Remove from heat and allow to cool slightly. 13. until uniformly blitzed, though not completely pureed. Few chunks here and there adds to the texture. 14. 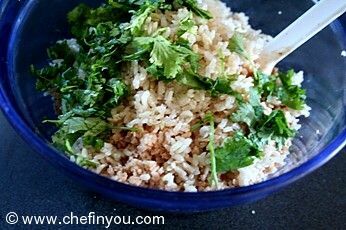 Fold in the reconstituted TVP, rice, cilantro, pepper and remaining 3/4 tsp salt. 15. Fold in the bread crumbs. 16. 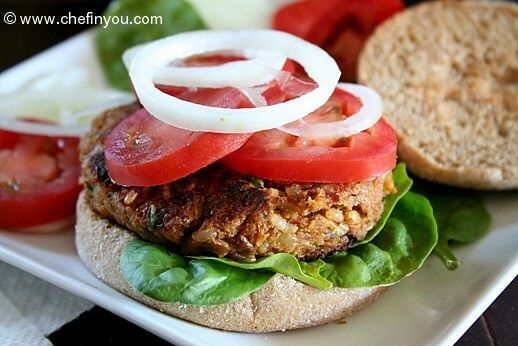 Shape into 6 patties. 17. 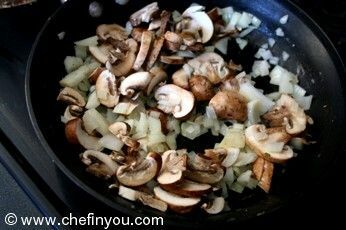 In an oven safe skillet ( I used my iron skillet) heat the remaining 2 tbsp oil over medium high heat. 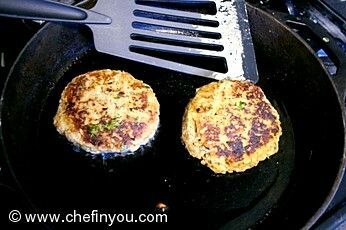 When hot, add the patties and cook until browned on each side . 18. 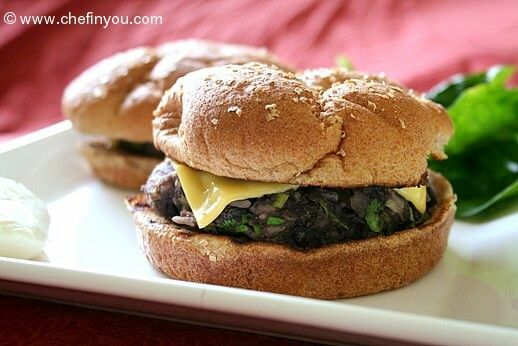 Takes about 6-10 minutes depending on the size of your patties. 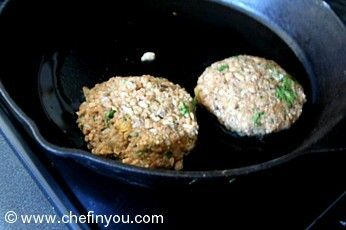 Transfer the pan to the oven and bake for 12-15 minutes, until the burgers are firm and cooked through. We enjoyed them with freshly sliced tomatoes, thinly sliced onions and spinach leaves (with a light drizzle of ketchup to boot). I used English Muffins for my buns, but you can use any type you like. I found this page after enjoying a Gardenburger tonight. I thaw them then brown them in a bit of butter. They're served at Jossy's Chill 'n' Grill Chip Truck in Sharbot Lake ON in the summer. On the last days of the season, Jossy gave me a leftover whole carton of Kirkland (Costco) Garden burgers. I looked up the ingredients tonight and then your recipe, which is nothing like the real ingredients (although it may be very tasty and healthy). It seems like a lot of trouble (I'm a big scratch batch cook) so I think I'll see if my sister, who has a Costco membership, can keep me in cartons of Kirkland Gardenburgers. My carnivourous husband has decided he'd rather eat them than locally produced grass-fed beef burgers! I would NOT use the TVP nor the tomato paste. and of course omit the egg.....I think a T of ground flax would do the ssme thing. I will try this recipe making substitutions. thank you. I made these today and were great. 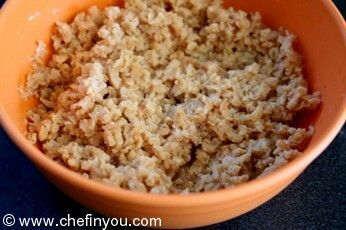 Used cooked quinoa in place of brown rice and toasted oats in place of breadcrumbs. 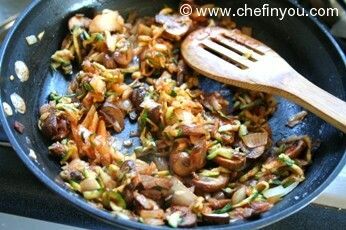 Did not have Zucchini, so used shredded acorn squash and chopped red bell pepper in place of mushrooms. Added cumin as well. Excellent. I made this last night and me and my husband really loved it! It was super filling but we both felt good about eating a burger, probably for the first time ever! I'm definitely going to make this again, thank you! 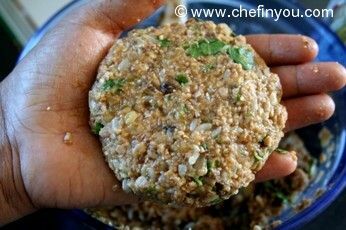 could i use ground flaxseed instead of bread crumbs to go low carb? any other suggestions? can we freeze the garden burgers? love this site!! 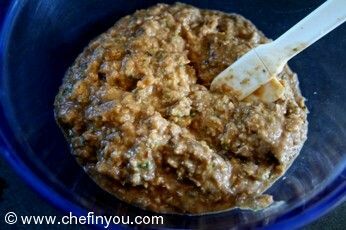 In love with your website, have tried many of your recipes mostly S.Indian. My hubby & I are tying to eat healthy nowadays because of the recent weight gain. I really like the idea of homemade burgers. I want to ask is there anything I can use instead of balsamic vinegar? Will greatly appreciate your response. Thanks! 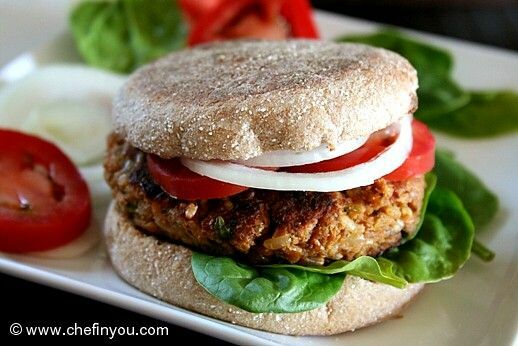 I thought i was the only one who had an aversion to Subway n McDonalds veggie burgers! I would feel sick in my stomach every time i went to these places (that too after a gap of 2-3 months....n specially Mcdonalds).My boys too would go to these b'day parties held at Mcdonalds n come home n feel sick...thats when I decided that I will make veggie burgers at home n TILL TODAY my children(all big now:)) dont eat burgers out...Its homemade or nothin else!Thnks for sharin this recipe , will surely give it a try.